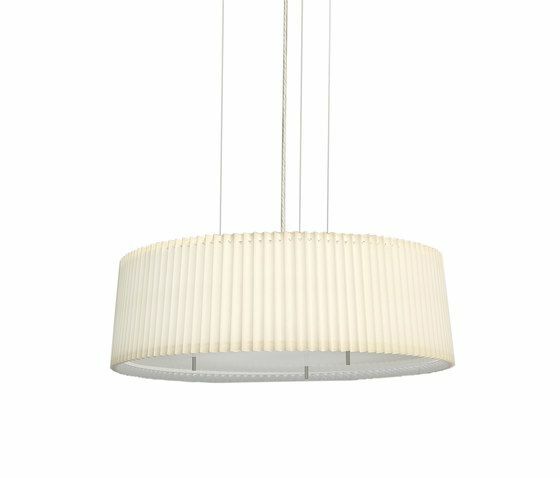 Textile Elegant lighting fixtures with pleated shades in offwhite. Contra has a harmonic and soft expression in the environment where it is applied without sacrificing the quality of light. Details in silvergrey colour or optional, length of pendulum is optional. Other colour of textile by request, smooth shade by request. The Contra family also consists of floor- and pendant fixtures. Light sources, manufacturer of ballast and type of control (e.g. DALI) by request. FAMILY OWNED COMPANY BLOND was created in Värnamo, Sweden, where all the production and manufacturing is still carried out.